Over on the Fretboard Journal Blog, Jason Verlinde writes about songwriter Paul Williams and his strange connection to Tiny Tim. Jason goes on to make the connection even intricate by connecting himself and The Ukulele Occasional to Robert Dayton of Canned Hamm, the author of the article he cites. Well, I can take the thread even further, showing just how itty bitty the uke world is. 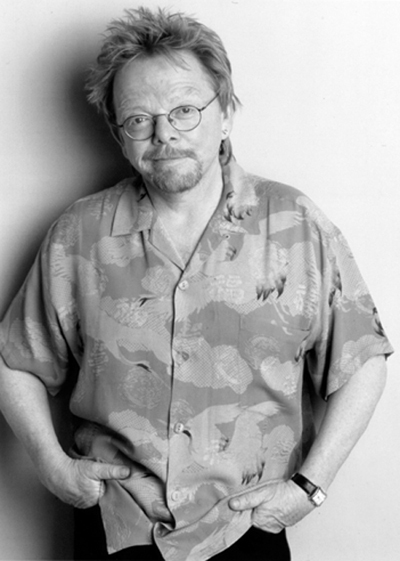 Paul Williams wrote "We've Only Just Begun" for a Crocker Bank commercial with my old boss, Hal Riney. And my job for Hal was managing the See's Candies advertising account and See's Candies is owned by Berkshire Hathaway, which as you already know is Warren Buffet's company and Warren plays the uke. But wait, Warren and Jimmy Buffett are something like fourth cousins (in addition to being mutual admirers) and guess who has been opening for Jimmy of late? Yep, that guy. Plus, I have the same aloha shirt Williams is wearing in this photo. Now if Kevin Bacon were to take up the uke...well, whad'ya know...Seven Degrees of Uke!